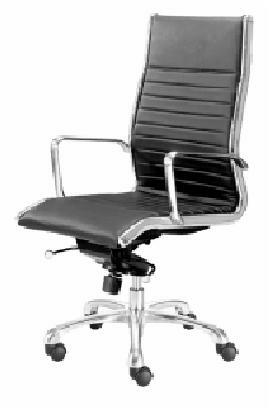 This chair has a stylish high back design with chrome plated steel frame. The leather seat and back is washable. 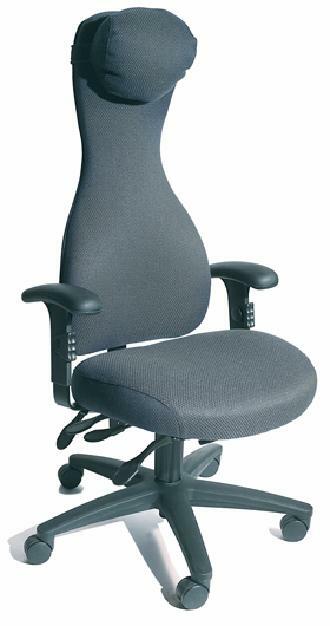 It also features one touch pneumatic seat height adjustment and adjustable tilt tension with lock. Specially designed back provides maximum support and mobility. It helps reduce upper back, neck and shoulder muscle tension. It has full adjustment capabilities for optimal fit. Provides stylish, practical solutions for any home or office. It features two file drawers which accept letter-size files. It measures 35 1/2" H x 59 1/2" W x 38 1/2" D. This table also has pencil drawer, keyboard shelf, raised side tier for office peripherals and concealed vertical CPU storage with adjustable shelf and rear wire access. 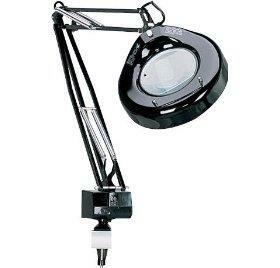 This 40 inches high lamp offers magnification and light in one sleek design. It has 3 diopter lenses and enlarges an image 175%. It also features a splash guard and a shade with positioning handles. 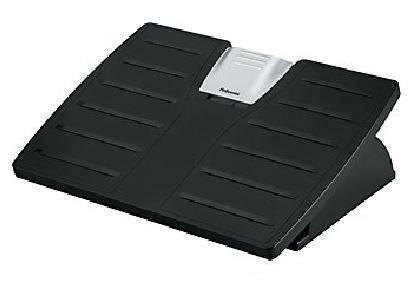 This footrest has an adjustable tilt and helps in increasing the blood flow and circulation in lower legs. You can lock it in a position you like or can allow for free floating tilt action. It is very easy to adjust to personal comfort. The Banana-Board can be used with both straight and corner workspace applications. 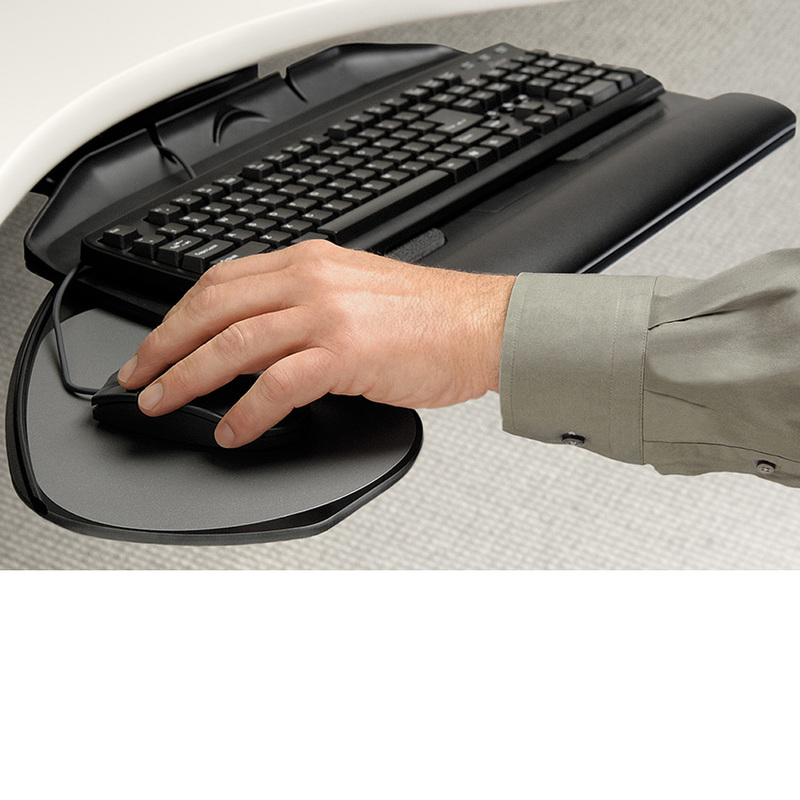 The patented mousing platform slides easily from side to side to accommodate both left and right handed users. 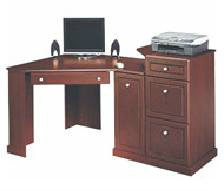 This provide house of relief and improve computing comfort. Gel covers slip over most arms and contour to your elbows and forearms, reducing pressure points and improving circulation to the wrists and hands. Document holders keep printed materials needed during computer tasks close to the user and the monitor. They help eliminate risk factors such as awkward head and neck postures, fatigue, headaches, and eyestrain. 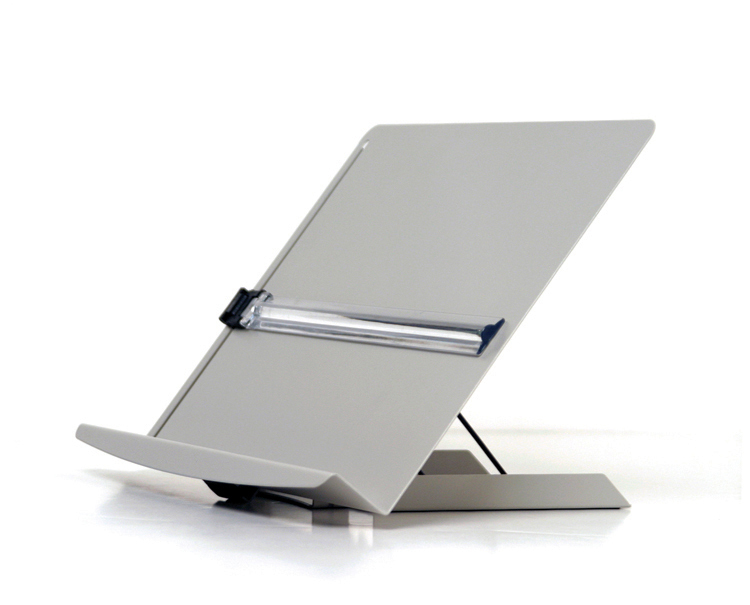 Most document holders can be placed in-line directly in front of & below the monitor. The Simplicity Wheelchair Mount Fits Wheelchairs with Round, Square and Rectangular Tubing. Communication device exchanges easily from wheelchair to reading/work/dining or custom table. Provides positive, secure support for your computer/device in both the stored and over-the-lap positions. 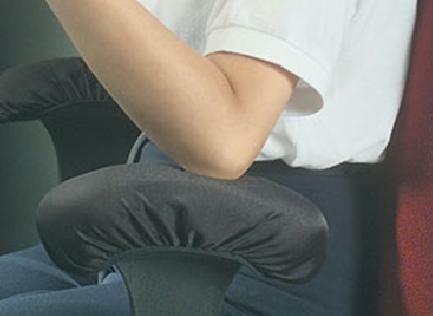 Can be used on either side of the chair or moved from one chair to another. 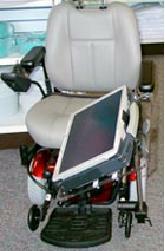 Adaptable to most communication and access systems and wheelchairs.